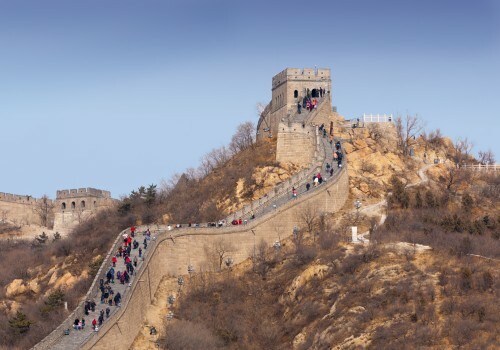 A visa is required to visit China and certainly seems to facilitate entry as clearing customs upon arrival at Beijing International Airport is quick and efficient. Having last visited in 1986 I was most curious to see what changes had occurred and was most impressed with the truly remarkable transition. 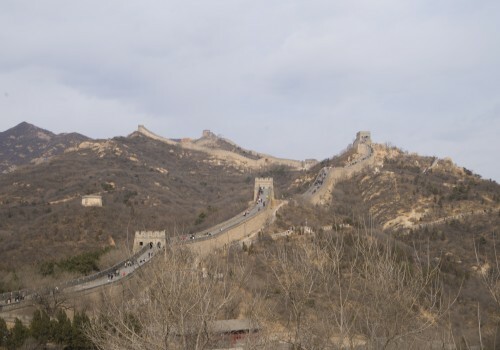 As with everywhere we travelled within China, infrastructure development has been extraordinary. 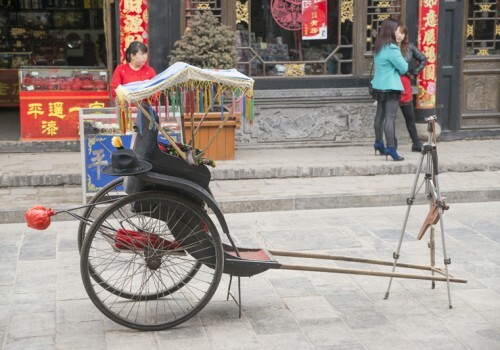 When last in Beijing horse-drawn wagons were common. Today the sparkling new multi-lane highways are full of even newer cars. The number of new multi-story buildings is extraordinary. International name brand retail stores abound. Surprisingly, traffic directional signs are bi-lingual, Chinese and English. And of course everyone walking the sidewalks does so with a smart-phone in hand. 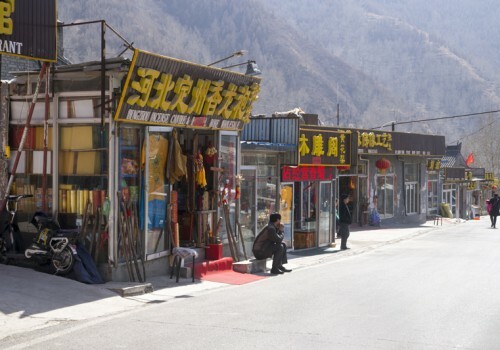 The standard of living for the people of China has risen dramatically in a surprisingly short period of time. However, the centuries old historic buildings remain well preserved. 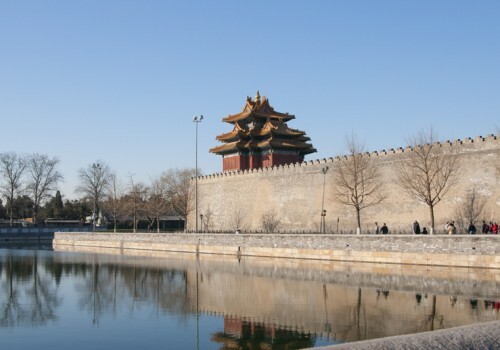 The Forbidden City, home to the Emperors of China for 500 years, and declared a World Heritage Site in 1987, is listed by UNESCO as the largest collection of preserved ancient wooden structures in the world. The complex consists of approximately 1,000 buildings and covers some 180 acres. It is here we learned as part of the Imperial system of government any citizen was able to write entry exams for the public service with the best being rewarded according to their ability. Even the top post, second only to the Emperor, was open to this competition. This tradition of seeking the best available talent continues with the government of the day and might help to explain the amazing transition that has occurred. 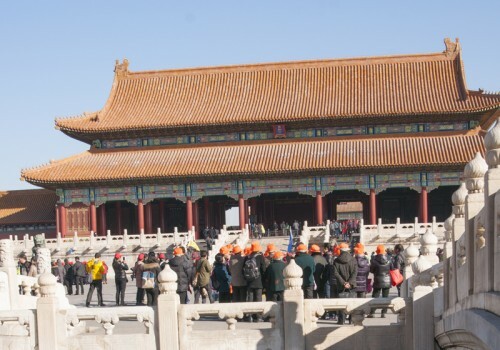 The Temple of Heaven, another UNESCO World Heritage site, was built at the same time as the Forbidden City in the 1400’s. 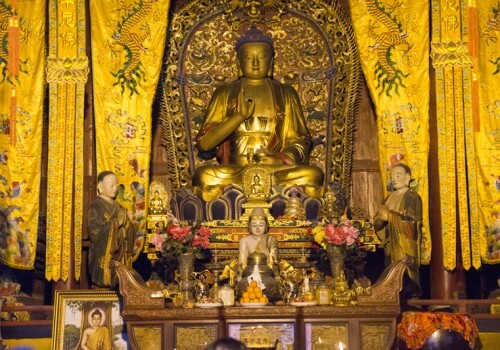 It was here that once a year the Emperor would visit to pray for a good harvest. The centuries old housing in the centre of the city still remains in the hands of the families who have inherited the right to live there from their ancestors. We were able to visit with one family who are part of a group who open their homes to tourists. It’s interesting to see how these modest dwellings all of which surround shared courtyards have been updated to modern standards. Our host was an artist, Yanzhen Zhang, who aside from answering our questions also took great joy to elaborate on his paintings which decorated the walls of his home. 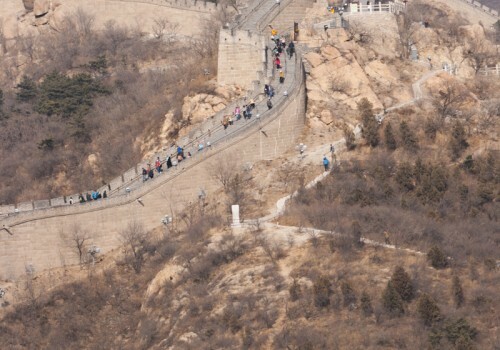 Naturally, the Great Wall, a short drive from Beijing cannot be missed. There is quite a large development of facilities catering to tourists including everything from quality restaurants to souvenir shops. 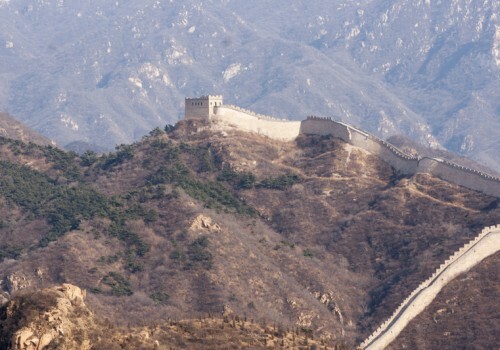 But walking the wall itself is a unique experience. The size and the difficult terrain it crosses bring nothing but admiration for those who constructed it. 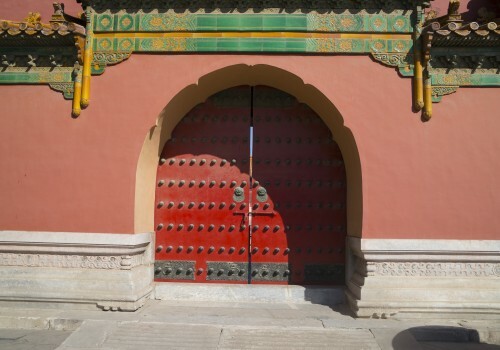 From Beijing we travelled by train to Datong in northern Shanxi Province. For about a third of the trip I was surprised to see through the window endless rows of windmills generating electricity. Not something commonly attributed to development in China. 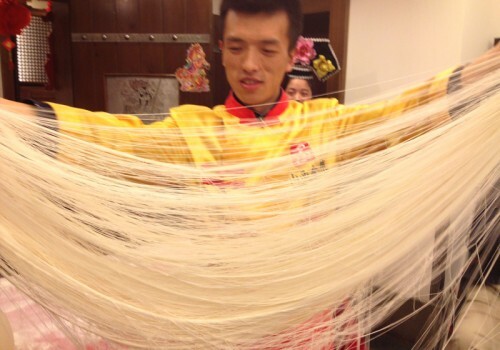 It is here that its likely noodles originate, as it’s recorded that Marco Polo, was offered noodles upon his arrival. 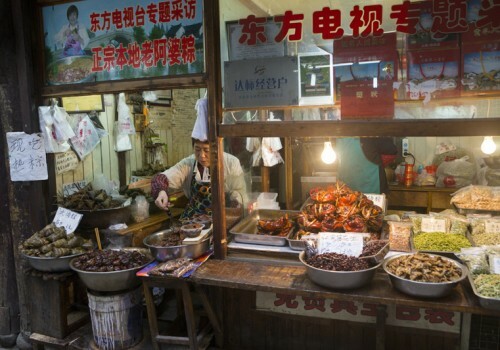 The cuisine in the area is unique with a heavy noodle influence. During a special evening meal the master chef of a local restaurant actually appeared in our dining room on a unicycle and proceeded to shave noodles from a large ball of dough resting on his head. This was followed by a martial arts display that resulted in an endless stream of thin noodles. A remarkable performance combined with a very tasty meal. 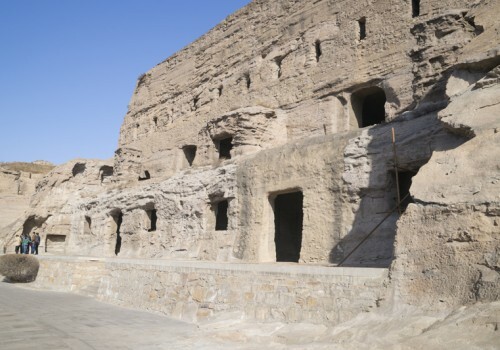 Near to Datong, can be found the Yungang Grottos, which is another UNESCO World Heritage site. 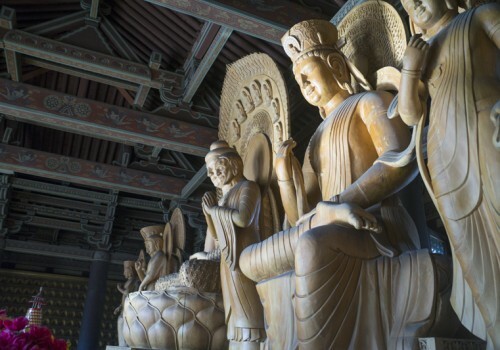 Dating from the 5th and 6th centuries, some 250 grottos are filled with over 50,000 Buddha statues carved from stone. 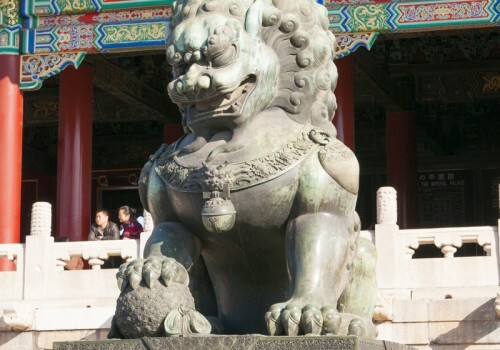 Some of the statues are over 10 meters while others are just a few centimeters in size. To simply describe these caves and the statues within in them as amazing does little justice to these outstanding works of art. 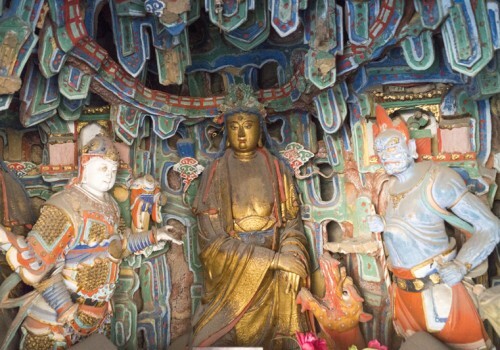 We were surprised, maybe even a little overwhelmed, with the number of ancient Buddhist temples, all seemingly vying for UNESCO recognition, to be found in Shanxi Province. 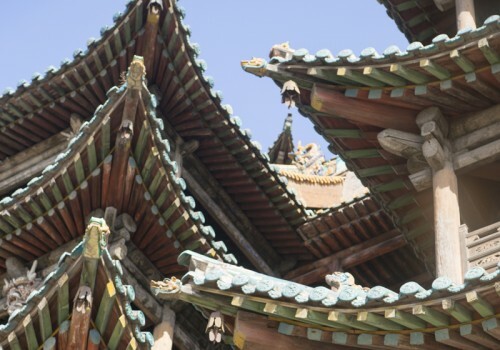 From the Grottos we made our way to the Yingxian Wooden Pagoda, the oldest and tallest all-wood pagoda in the world. 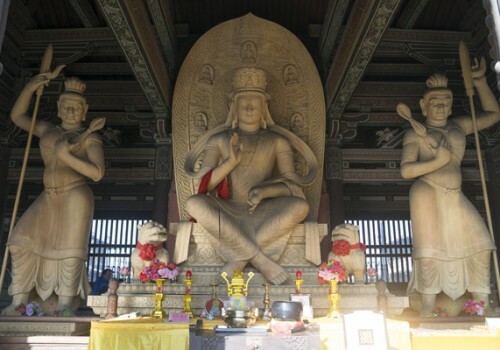 Again we were taken with the artistic mastery represented by the group of Buddha statues to be found inside the base. 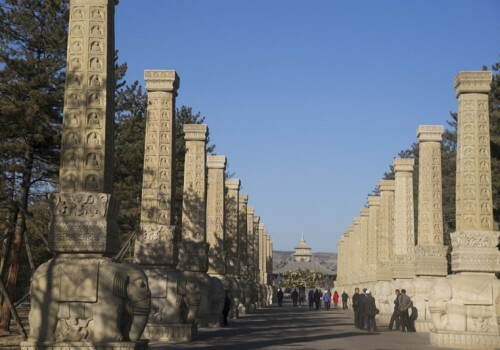 Next was the Xuankong Si, or Hanging Temple, which along with the Grottos is one of the main tourist attractions in Shanxi. 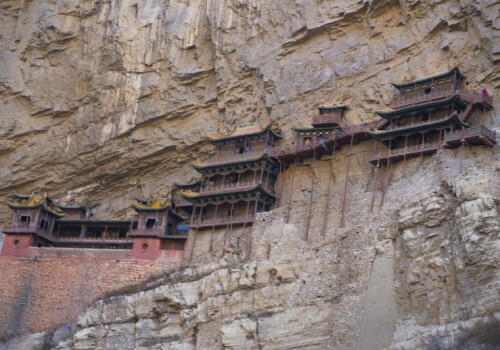 Built some 1,500 years ago the temple seems to hang from the edge of the cliffside but is actually held in place with wooden beams fitted into holes chiselled into the side of the mountain. 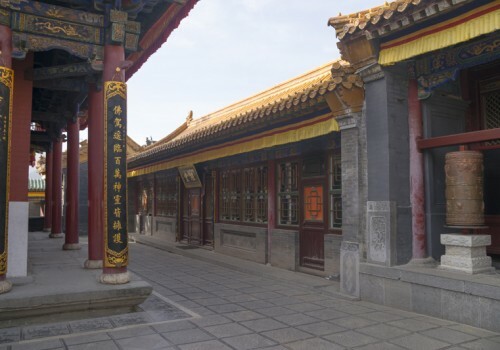 There are 40 separate hanging halls connected with a narrow winding corridor. 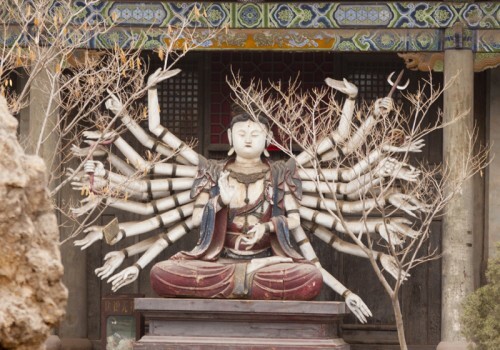 Again the statues found inside had remarkable artistic merit and are apparently unique in that they represent all three traditional Chinese religions: Buddhism, Taoism and Confucianism. 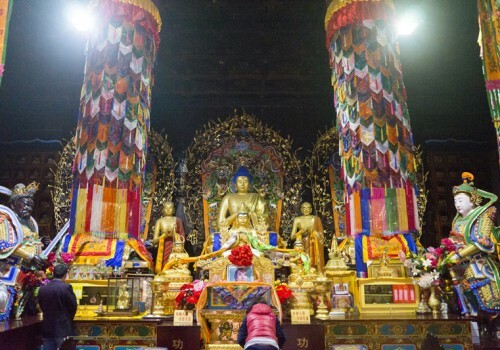 A little further on is Mount Wutai, one of the Four Sacred Mountains in Chinese Buddhism, home to some 50 sacred Buddhist monasteries and another UNESCO World Heritage Site. 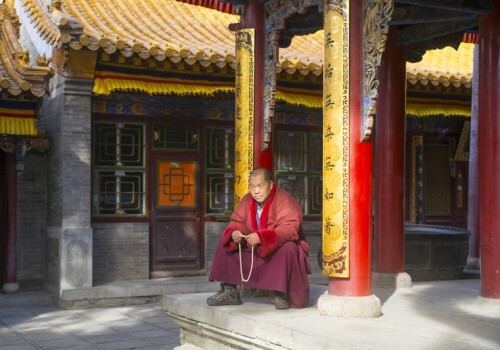 The area is not simply a collection of monasteries but is an actual community offering tourists all the amenities expected, such as quality hotels and restaurants. 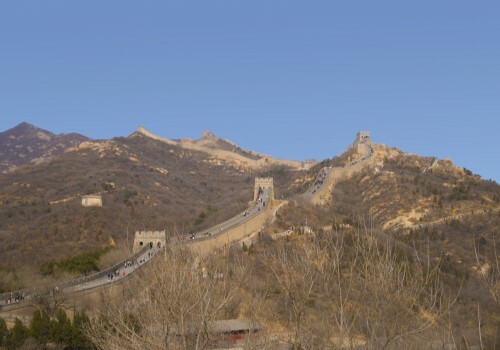 The name comes from the unusual topography consisting of five rounded peaks of which the north peak is the highest in Northern China. Throughout our trip we were taken with how friendly and inviting the locals were to foreign tourists. Plus local tourists at the various sites we visited frequently asked if they could have their photos taken with the foreign tourist. 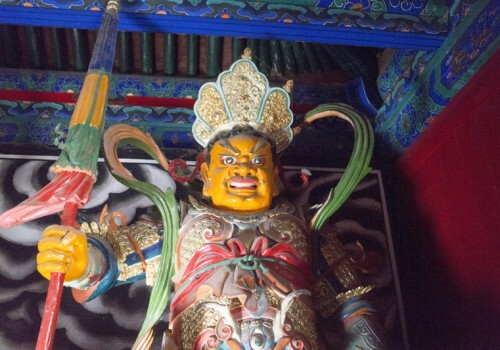 Mount Wutai was no exception and I’m most curious to know how often my smiling face appears on Chinese social media web pages, as I found myself posing numerous times. 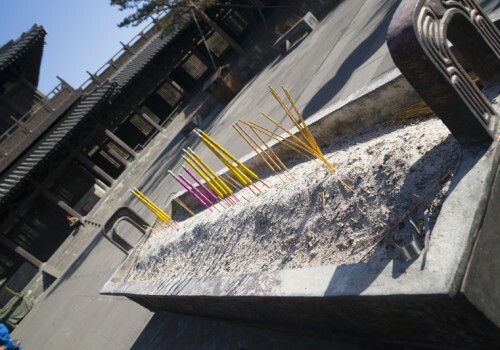 From Mount Wutai we travelled to the ancient walled city of Pingyao, dating back some 2,700 years, and another UNESCO World Heritage site. 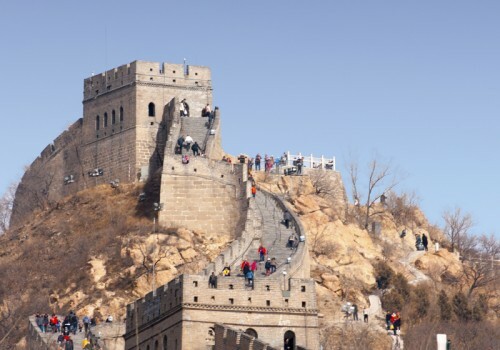 China ranks second in the world when it comes to World Heritage sites. 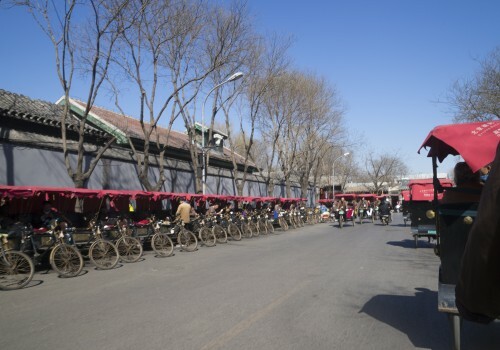 As an aside when travelling through the various cities which make up the province of Shanxi we were taken with how each city, there were many with populations of a few million, was well endowed with very new infrastructure much of which was architecturally unique and artistically attractive. Plus bike sharing programs, new to our big cities, seemed common. 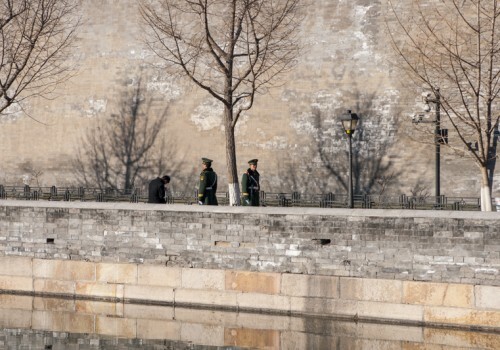 China as a whole impresses with the modernization and improved living standards it has achieved. 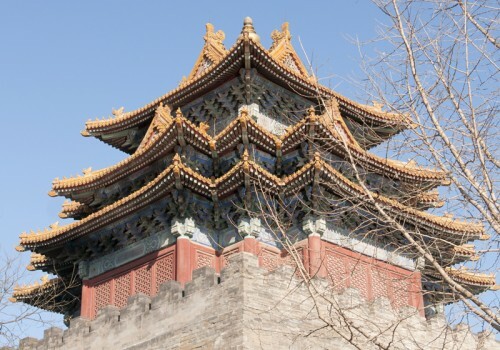 Pingyao, is also known as the ‘Turtle City’, as a result of the 2 gates on each of the east and west walls with just one on the north and south walls, resembling the legs, head and tail of a turtle. For the longest time the city was the financial capital of the country with some 20 financial institutions more than half of all those in the country as a whole. One actually controlled 50% of the silver trade in China. The walls date from the 1300’s and enclose a community of 50,000. The look of the interior buildings has been preserved while outside the walls are surrounded by a moat. It’s fascinating to wander the city viewing not just the business centre but also the housing and of course the watch towers. 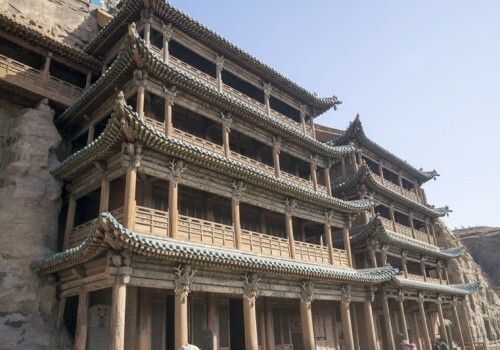 We were particularly taken with our hotel; the Pingyao Hongshanyi Hotel sits near the south gate inside the walls and has 70 very nice rooms. Plus of course a good restaurant. Many photos of previous celebrity guests adorn the reception room walls. From Pingyao we headed to Taiyuan for our flight to Shanghai. 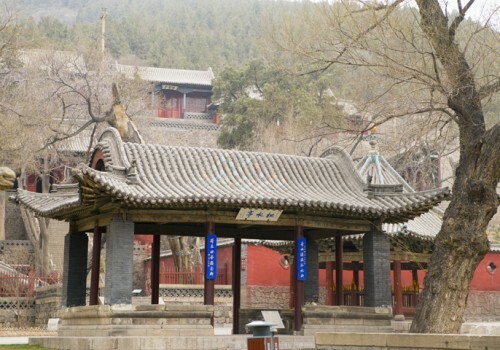 Along the way we visited the Jin Ancestral Temple, the oldest wooden structure in Taiyuan. 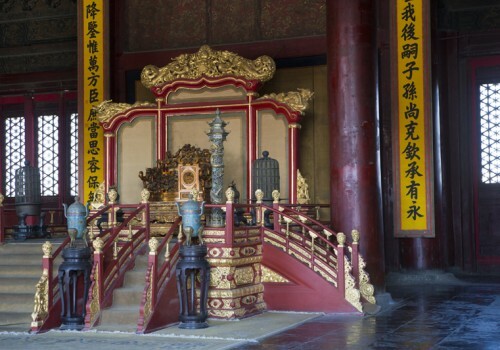 The temple was built to commemorate the younger brother of a king who was appointed to lead the area during the Zhou dynasty. He did a remarkably good job leaving his descendants well off and well housed. 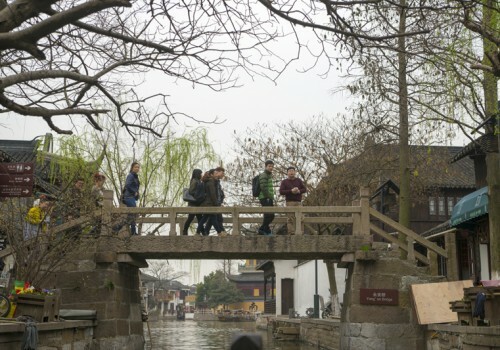 Shanghai has to be one of the most modern cities in the world while still retaining its long history. 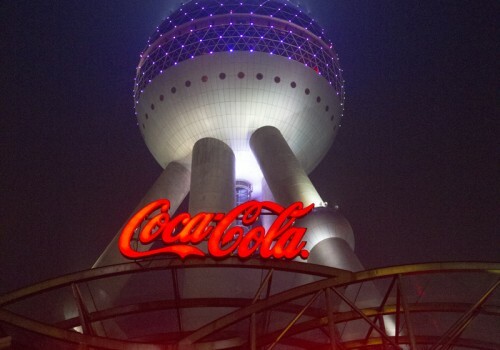 Upon arrival our first stop was the Shanghai Oriental Pearl TV Tower. Situated across from the Bund, centre of the European section, it provides dramatic views from its 15 observation floors. At one time the tallest tower it is soon to be dwarfed by a new tower rising to an undeclared height, apparently to be determined by the height of the tallest tower currently rising in Dubai. Naturally the objective is to be the tallest in the world. The view from the tower provides an excellent perspective to the growth of this amazing city. The city is large and has a long history so there is a wealth of tourist attractions. 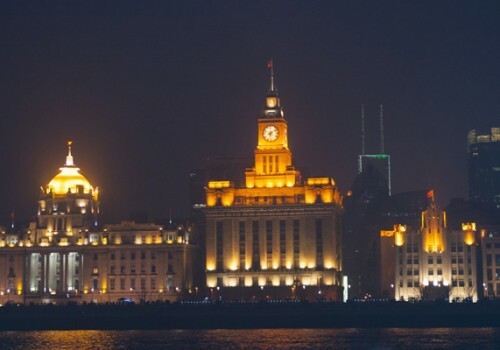 Our first was a night cruise along the Huangpu River which divides the city. On the west bank is the Bund, the historic section of the city while on the east is the new modern Shanghai. 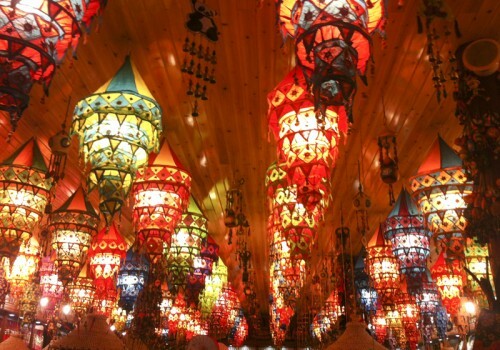 Everywhere lights light up the sky and the whole city glistens. 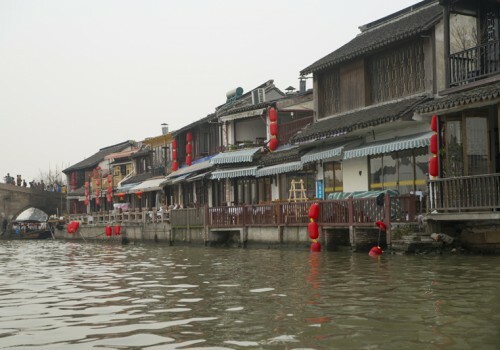 The next day we visited Zhujiajiao a water town on the outskirts of Shanghai. 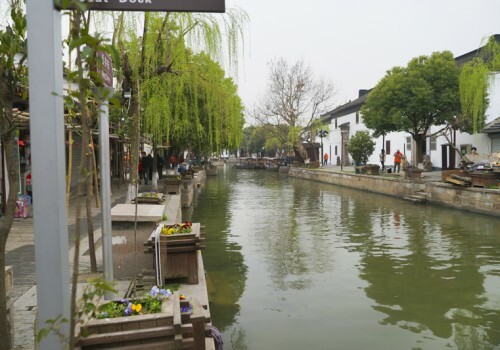 The town dates back 1,700 years and the old buildings line canals which had provided transport. 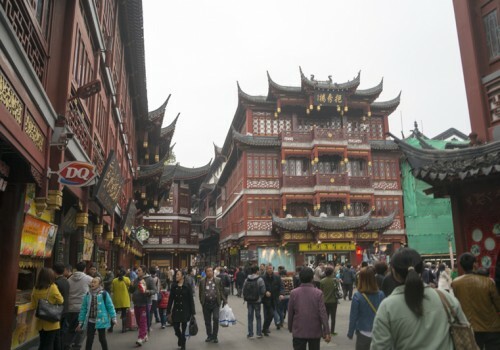 Many of the old buildings have been preserved and provide prospective on where Shanghai has come from. 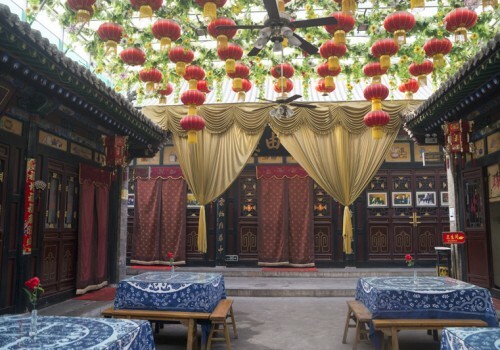 Another historic location is the Yu Garden dating from 1600 and covering 5 acres. 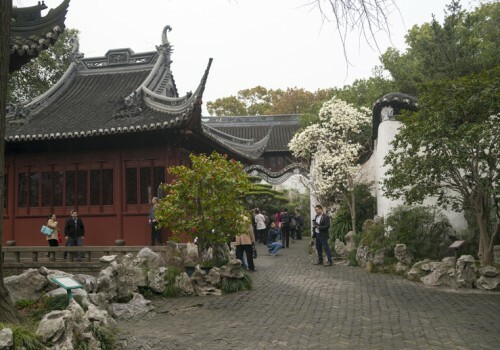 The garden was originally built by the family of Minster Pen En of the Ming dynasty as a comfort for his retirement years. 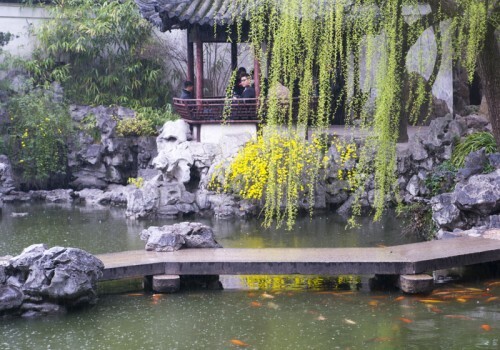 Aside from the lush foliage there are numerous interesting pavilions and numbers of ponds which are home to a variety of fish. 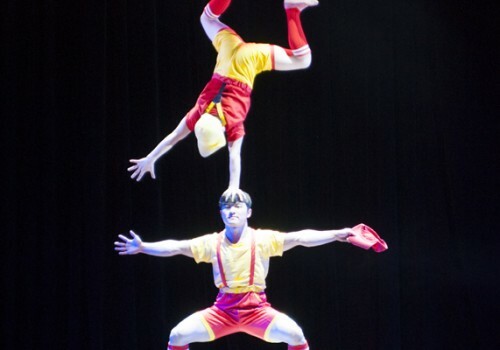 We also had an opportunity to watch an incredible acrobats’ show at the Shanghai Centre Theatre. I would suggest the Cirque de Soleil should do their recruiting here. These relatively young performers were extraordinarily flexible and put on a dazzling show. Apparently, the style of performance has been long established in China and generates endless ohh’s and ahh’s from the audience. 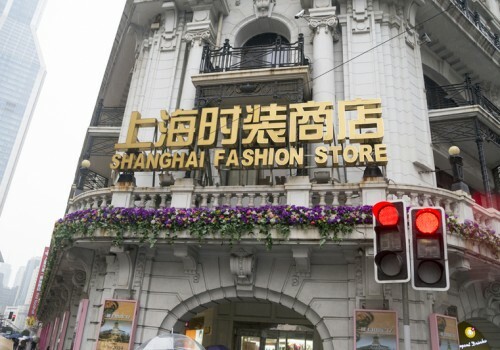 Modern Shanghai is home to all the shopping one could imagine plus some of the best restaurants in China can be found there. Travelling across China part of the unique experience is the change in the style of cuisine in each region. 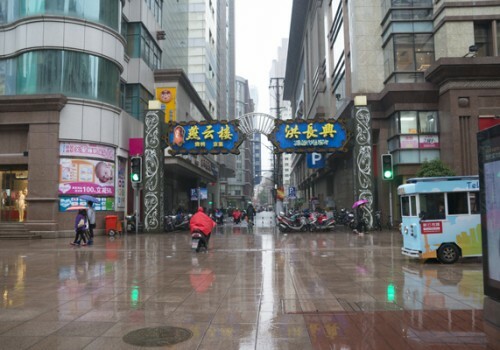 Shanghai in particular is quite different and the selection of restaurants seeming endless. Again I was surprised by the bi-lingual signs. 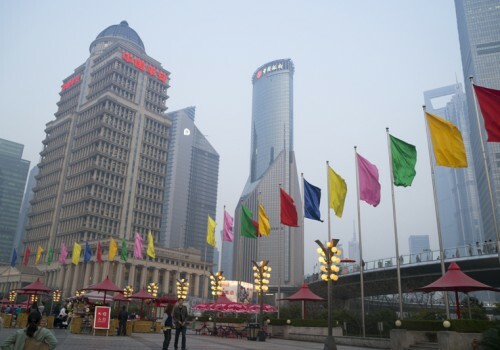 Shanghai has developed into one of the leading financial cities in the world. As such it is apparently attracting a significant number of foreign workers drawn to the new opportunities being provided; thereby the English language signage. Another surprise, it was explained to me as I watched a group of locals due their morning exercises in one of the city squares, that retirement age is 55. Those who I was watching were retirees. Apparently even the street cleaners are provided with a more than adequate pension at that seemingly young age. 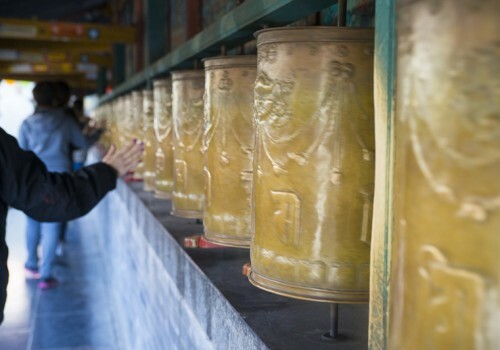 China is very interested in attracting tourists. 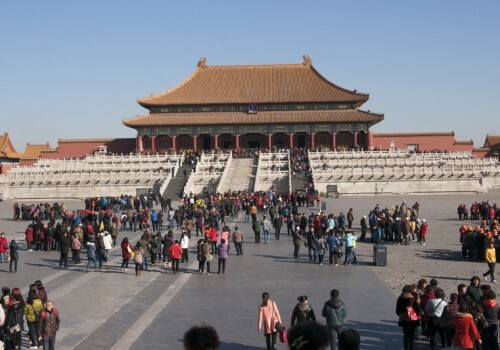 Not that the Chinese themselves are not active tourists in their own country. 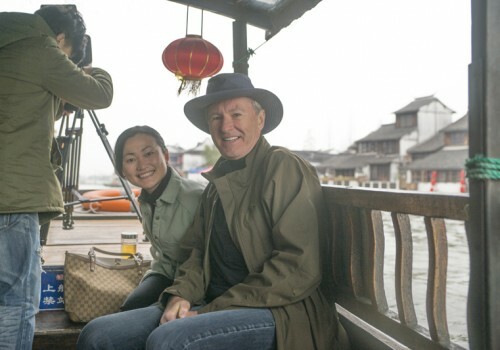 Every attraction we visited had also attracted a significant number of Chinese tourists. But they were more than welcoming. The rapid transition that has occurred in the development of China turning it into a very significant player on the world stage seems to have been very beneficial to the population at large. Generally everyone seems to be enjoying a good standard of living. And people were happy to see us and chat with us. 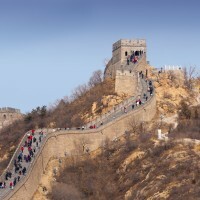 If you’re looking for an entirely different experience and some insight into the rapidly rising power that China now is you won’t be disappointed with a visit. I would not suggest trying to travel on your own. But there are a host of tour operators catering to all levels. The history that’s apparent in this ancient country provides a unique perspective to our world today.